With tropical weather swirling in the Atlantic Ocean and the Gulf of Mexico, it’s time to review your plan in case of a big storm heads this way. 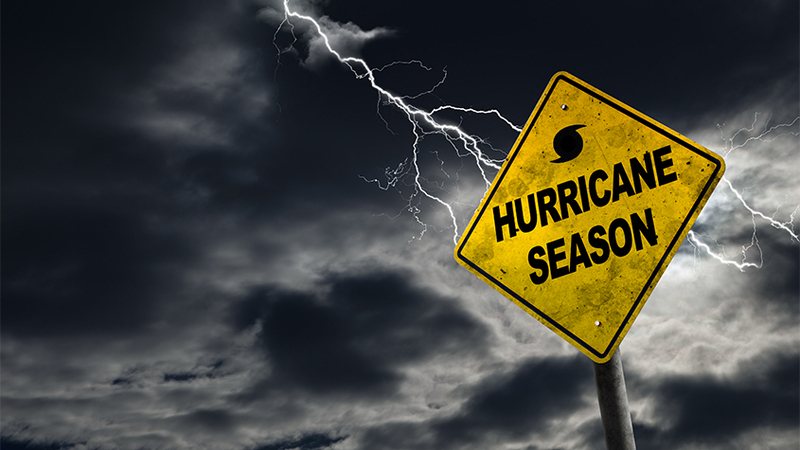 Hurricanes are most likely to occur from mid-August through mid-September, with the season peaking on Sept. 10. Officially, the season runs from June 1 through Nov. 30. Authorities want you and your family to be ready. Now’s the time to prepare for hurricane season, before forecasters begin tracking ominous tropical weather moving this way across the Atlantic Ocean or up through the Caribbean Sea. Officials want to help you and your family get ready. Find a complete rundown of steps to take now, from putting together an emergency kit, to signing up for the County’s emergency alert system, to preparing for your pet during an evacuation. Make sure you know your evacuation zone. It’s not the same as your flood zone. Evacuation zones are based on hurricane storm surge probabilities determined by the National Hurricane Center, which assesses ground elevation and other factors that influence an area’s vulnerability to surge. The evacuation zones are marked from A through E.
Flood zones are areas mapped by FEMA for use in the National Flood Insurance Program. Plan to pay close attention if authorities begin announcing zone evacuations. Know where you will go and how you will get there. Compile contact information for family members, law enforcement, local hospitals and utilities, and your property insurance agent. Share your preparation efforts with family members, make a plan, and be sure everyone knows how it will play out if severe weather looms. After a storm passes, listen to local officials for instructions. When they deem it’s safe to return home, watch out for debris, downed power lines, and standing water. “Two keys to weather safety are to prepare for the risks and to act on those preparations when alerted by emergency officials,” the National Hurricane Center cautions.